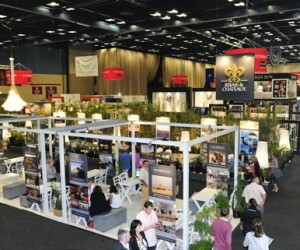 Just weeks away now, INDABA 2013 will be a celebration and showcase of South Africa’s professional, hard-working and vibrant tourism industry and the variety of world-class tourist offerings available to suit every budget. South African Tourism is finalising preparations for a high-quality four-day show in Durban from 11-14 May 2013, purely aimed at stimulating hundreds of millions of rands of business between the tourism trade and buyers looking to invest in the destination. 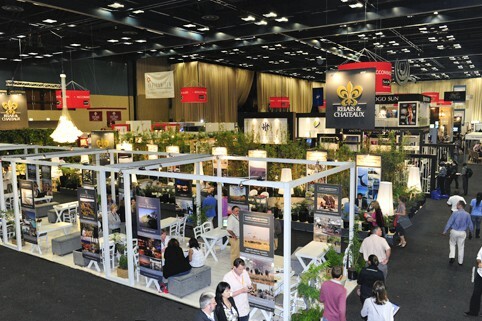 “We are very excited to see that exhibitors and hosted buyers have again confirmed their attendance in considerable numbers for INDABA this year. Our industry is of course all about the bottom line of the revenue which the tourism industry contributes towards the South African economy. It is about statistics, targets, rands and cents and projections. But it is also a people-centred industry employing hundreds of thousands of dedicated individuals solely committed to ensuring the best possible holiday experience for millions of foreign and domestic tourists eager to explore one of the most beautiful destinations on earth,” said South African Tourism Chief Executive Officer, Thulani Nzima. “It is at INDABA every year that our tourism industry puts its best foot forward and showcases its collective strength. INDABA remains Africa’s top travel show and the platform for our industry to proudly display products and experiences suited to every taste, budget and desired travel experience. And it does so with professionalism, skill, and always with a smile. At SA Tourism we take the responsibility for creating a conducive trade environment at INDABA very seriously. We are on target to meet our goal of hosting 250 top quality international buyers this year, all with a stated intention of doing serious business in a market showing considerable growth. But we know that while we create the environment, demand and appetite for consumers to travel to South Africa, we are only as strong as our tourism industry, whose expertise we rely heavily upon to package deals and close sales. INDABA is a collaborative effort between the public and private sector and an event we are really looking forward to,” Nzima added. SA Tourism has noted recent industry concerns with regards to the standard catering and beverage policy at INDABA. The Inkosi Albert Luthuli International Convention Centre holds full rights to catering at the venue. “We understand some of the frustrations raised and know the importance in the hospitality industry of creating a welcoming business and networking environment. We likewise understand the importance for exhibitors and the trade to be able to share a beer or a glass of wine and some snacks after a hard day’s trade on the busy show floor. We are confident though, that while abiding with the ICC rules, that the functions, beach parties, stand parties and trade events that are so integral to INDABA will continue to be synonymous with the success of the show. We are constantly taking exhibitor and buyer feedback on board, acknowledging the fact they are the most important stakeholders at INDABA, and we will continue to do so going forward,” said Nzima. Everything at INDABA this year is designed to facilitate connections, networking and constructive business engagement between buyers and exhibitors. The speed marketing sessions focusing on ‘Heritage and Culture’, ‘Wine Routes of South Africa’ and ‘South Africa’s National Parks’ will expose a wide cross-section of South Africa’s tourism product to top quality buyers under one roof. Our ‘INDABA Connect’ system will allow for the easy and effective exchange of tourism information and contacts and for follow-up post INDABA engagement. Our Matchmaking Diary system too is aimed at facilitating constructive engagement and quality meetings between exhibitors and buyers. INDABA 2013 continues to embrace the benefits of the digital destination marketing age, with a first-ever Travel Bloggers Conference on the eve of INDABA. Another first at INDABA is a Heritage and Culture Pavilion facilitated by the National Department of Tourism together with SA Tourism, and in partnership with the Moja Heritage Collection. This pavilion will put South Africa’s heritage and culture tourism offering in the mainstream of the destination’s tourism attractions and showcase our country’s eight UNESCO World Heritage Sites.